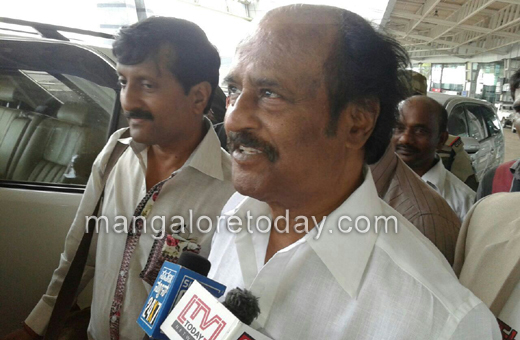 Mangalore, August 13, 2014: Fans of Super Star Rajnikanth were ecstatic on catching a glimpse of their favourite hero at the Mangalore International Airport at Bajpe on August 13, Wednesday. 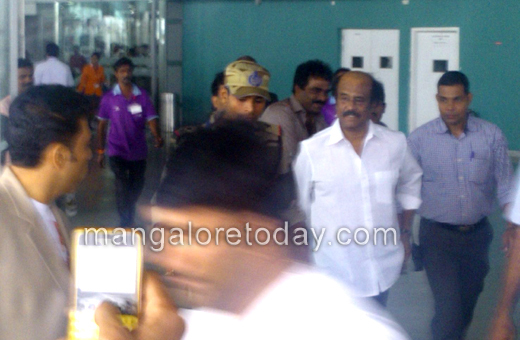 Rajnikanth who is on a private visit to the city arrived at the airport this morning to be greeted by his innumerous admirers. The super star known for his humility willingly posed for selfies with some of his fans who were elated. Nonetheless the security personnel at the airport had a tough time in managing the crowd that had gathered to see the Super Star.